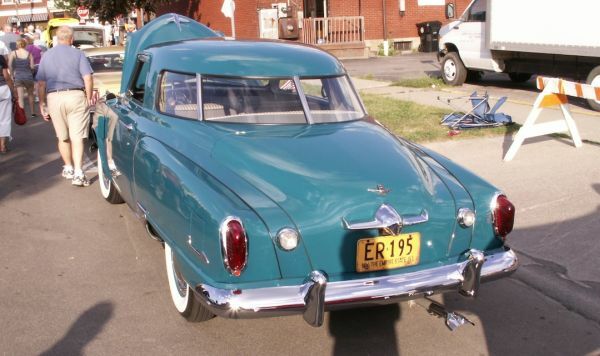 (Welcome, as this week we celebrate the Independents…) The styling of this 1951 Studebaker Commander Starlite coupe is nothing less than distinctive, with its short roofline and wraparound rear window. Ads touted the Stude’s new Commander V-8 as having “Spectacular zip and pep!” and added that it was “Surprisingly low in price!” All true, I’m sure, but my favorite feature has to be the view out that back window! Saw this one a few Canal Fests ago in Tonawanda. Jim Corbran, RRofWNY The post RealRides Of WNY appeared first on Buffalo Cars.